Search for users with Smith or Johnson in at least one of the attributes mentioned above. You can include many more attributes to ANR than those mentioned above. To do so you’ll need to edit the Active Directory Schema. This requires to be a member of the Schema Admins Active Directory group and to have the Active Directory Schema MMC Snap-In registered (regsvr32 schmmgmt.dll). 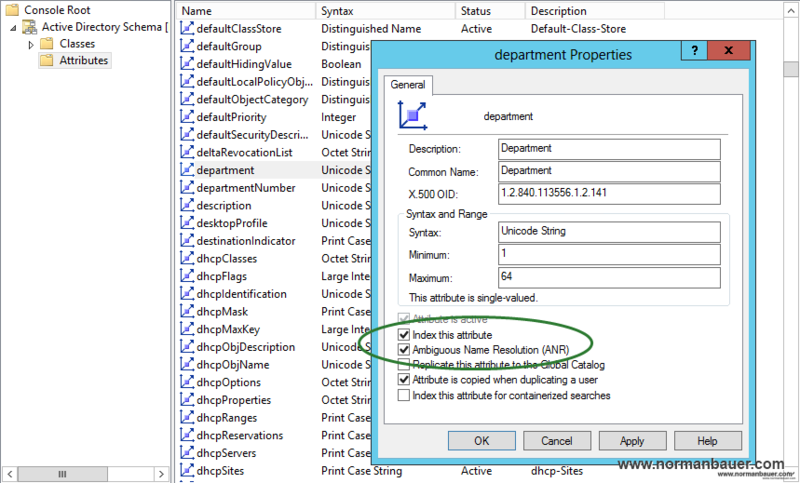 To add a particular attribute (for example Department) navigate to Attributes -> department and open the properties dialog. 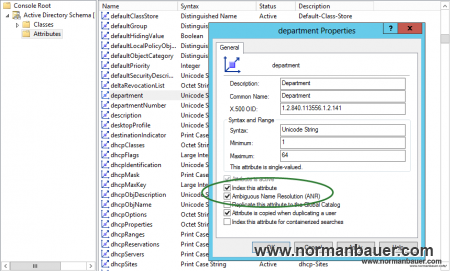 Check “Index this attribute” and “Ambigous Name Resolution (ANR)”. Hit apply and you are all done.